Notice is hereby given to the voters of New Dosey Township that the Annual Election of Officers and Annual Town Meeting will take place on March 12, 2019, at the town hall. In the event of inclement weather, the event will be on the 3rd Wed. of March. Election hours are 4-8pm. Absentee/early voting may take place on March 9 (10am-noon) at the town hall. No one has filed for this office, therefore, the election will be determined by write-in voting. Meeting called to order at 8:15 by Clerk Fran Levings. Motion by Jan Streiff, second by Don Mishler, to approve the agenda. Carried. Head Judge Beverly Carlin read the results of the Board of Canvass. Ronnie Mosser received 12 votes for Supervisor and Jason Fornengo received 20 votes for Supervisor. Mandy Fornengo received 28 votes for Treasurer. She ran unopposed. Motion by Jan Streiff to nominate Robin Fornengo to be the moderator. Second by Dave Baker. No other nominations. Motion carried. Motion by Jason Fornengo, second by Jan Streiff, to approve the minutes of the 2016 Annual Meeting. Carried. Motion by Beverly Carlin, second by Don Mishler, to approve the Board of Audit report. Carried. $20,682.45 spent on road work in 2016. Town may replace the culvert on Rocky Blvd. in 2017. Pine County allows the township free use of gravel from their pit. Pine County will replace the bridge on Hwy. 32 by Fornengo home. Vendors working underground on township roads must get a permit. 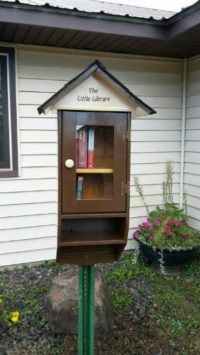 Progressive aspects of our townships- solar panels, Little Library, Archives in Pine County Historical Museum. We are 1 of 2 townships in MN to offer driveway snow plowing. Motion by Beverly Carlin, second by Dave Baker, to approve the Chair’s report. Carried. Clerk has attended several excellent training sessions in 2016. Clerk will work on getting the messy yard of a resident cleaned up. Ron Mosser mentioned other concerns he has with the home of this resident- (1) they are in violation of the “One Principle Dwelling on a Parcel” rule (2) their septic is in violation and (3) they have an extra trailer on their property. Dave Fornengo researched on his laptop the Parcel Identification Numbers for this property and reported that there are 3 separate PINs, therefore the two dwellings are on separate parcels. This residence is located in the townsite of Cloverton. He said that as Septic Administrator for the township, he would be looking into the septic of this residence this spring. Motion by Ron Mosser, second by Don Mishler, to approve the Clerk’s report. Carried. Treasurer’s Report: Treasurer Mandy Fornengo distributed the Annual Treasurer’s Report. Mandy also distributed the 2017 budget. Motion by Fran Levings, second by Jan Streiff, to accept the Treasurer’s Report. Carried. Zoning Report: Fran Levings reported that 7 Land Use Permits had been issued in 2016. Lengthy discussion of septic concerns. Consensus was that Realtors do not always trigger a “Point of Sale” septic inspection as they are required to do. Motion by Beverly Carlin, second by Dave Baker, to accept the Zoning Report. Carried. Cemetery Report: Fran Levings reported that the “Perpetual Care Fund” drive is on hold at the time because enough funds are being generated from the state and town aid distributions to pay for mowing and landscaping. Motion by Jan Streiff, second by Beverly Carlin, to accept the Cemetery Report. Carried. Tri-Township Disposal District Report: Dave Baker asked for permission for this group to raise the levy for payment by $5. Beverly Carlin strongly opposed the possibility of purchasing new garbage truck. Motion by Beverly Carlin, second by Ron Mosser, to accept the Disposal District Report. Carried. North Pine Area Hospital District Report: Fran Levings distributed a handout regarding the new hospital campus that will open in Sandstone this year. The Open House for the new Essentia-Sandstone Hospital will be May 9. Motion by Dave Baker, second by Beverly Carlin, to accept the Hospital District Report. Carried. Fran Levings distributed the Pay Scale for the township. Ron Mosser moved that the voters amend the pay scale to paying supervisors an extra $25/meeting and the supervisors do NOT get paid for missed meetings. Second by Don Mishler. Vote was taken by a show of hands. Yes- 4 votes. No- 5 votes. 3 abstentions. The motion failed. Motion by Fran Levings, second by Beverly Carlin, that there be no changes to the levy. Carried. No changes were made to the Plowing Private Driveways Policy. The Board was asked by Ron Mosser to consider purchasing another CD with the idea that the funds may eventually be used to purchase a new plow truck or grader. Motion by Fran Levings, second by Jan Streiff, that the township enter into Contracts for Services for $250/each for Seven County Senior Services, Family Pathways, Pine County Historical Society and Old School Arts Center. Carried. Motion by Ron Mosser, second by Jan Streiff, to authorize housekeeper Robin Fornengo to donate town hall items (kitchen & handicapped) to a thrift store. Carried. Motion by Ron Mosser, second by Jan Streiff, to raise the Grader Operator pay from $20/hour to $25/hour. Carried. Ron Mosser pointed out some problems with the siding on the town hall building. This item will be placed on the next regular town board meeting. Motion by Fran Levings, second by Beverly Carlin, to continue using Northview Bank in Sandstone as the town depository. Carried. Motion by Fran Levings, second by Dave Baker, to continue using the Pine County Courier as our legal notices newspaper. Carried. Motion by Fran Levings, second by Robin Fornengo, to set the 2nd Tuesday in March, 2018, as the date for the next Annual Meeting. Carried. Motion by Dave Baker, second by Robin Fornengo, to adjourn. Carried and meeting adjourned at 9:48pm.